Australia’s busiest airports are in Sydney, Melbourne, and Brisbane, despite the country’s capital being located in Canberra. Travel in all of these cities and most of the rest of Australia costs around $60 per day. The tourism industry peaks in Australia’s summer, between December and February. Temperatures vary greatly across this vast nation, however you should expect summer temperatures somewhere between 25 to 40˚C (70-105˚F), with winters ranging from 10 to 23˚C (50-75˚F) degrees. Handmade boomerangs, wildlife paraphernalia, and handmade crafts exemplify the classic Australian souvenir. As both a country and a continent, Australia has tons to offer tourists, though most of the country is sparsely inhabited. The vast majority of Australians live near the country’s eastern coast, which holds major cities like Sydney, Melbourne, and Brisbane. Other major municipalities include Adelaide on the southern coast, Perth in the western coast, and Darwin on the north coast. Alice Springs is one of the largest inland communities in Australia and is located in the centre of the outback (an expansive, arid area with very low populations). 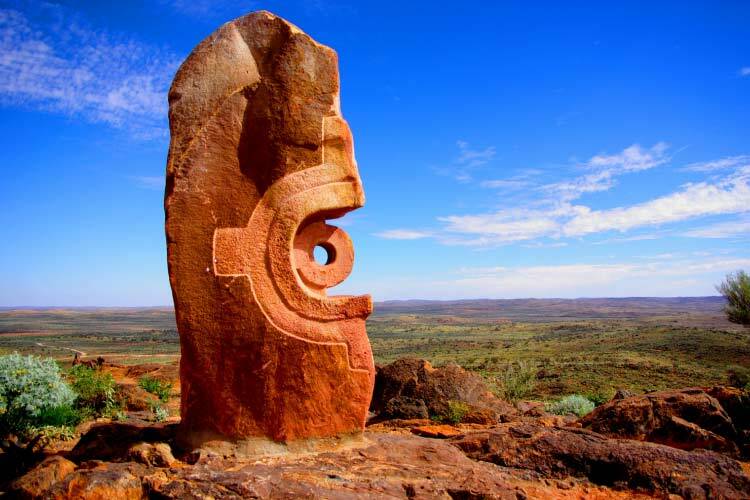 Australia’s indigenous people are typically called the Aborigines, who occupied the land for tens of thousands of years prior to the arrival of Europeans in the 17th century. The Dutch were the first to “claim” the land, but erected no permanent settlements. After England lost control of the American colonies in the late 1700’s, they took advantage of the lax attitude of the Dutch by establishing Sydney in 1788. Though popular legend claims England used Australia primarily as a prison island, the truth is that only select areas received the inmates, whereas the rest of the country was colonized by free settlers. Australia rose in prominence during the gold rush in 1850’s, which brought huge numbers of immigrants and devastated Aboriginal populations. In 1901, Australia earned its sovereignty from England, though it would take almost 30 years for the two countries to become entirely independent from each other. During WWII, Australia established strong military ties with the United States, which both countries honour to this day. Because of its abundant natural resources and extensive ties to the UK and the US, Australia became quite wealthy during the 20th century, and even today it boasts the fifth highest income per capita worldwide. Due to its wealth and widespread use of the English language, Australia has become a very popular travel destination. Tourists typically seek out the country’s natural resources, and activities like hiking and scuba diving enjoy immense popularity. The country also has a well developed music and arts scene, which has produced widely recognized celebrities like AC/DC or Jet. 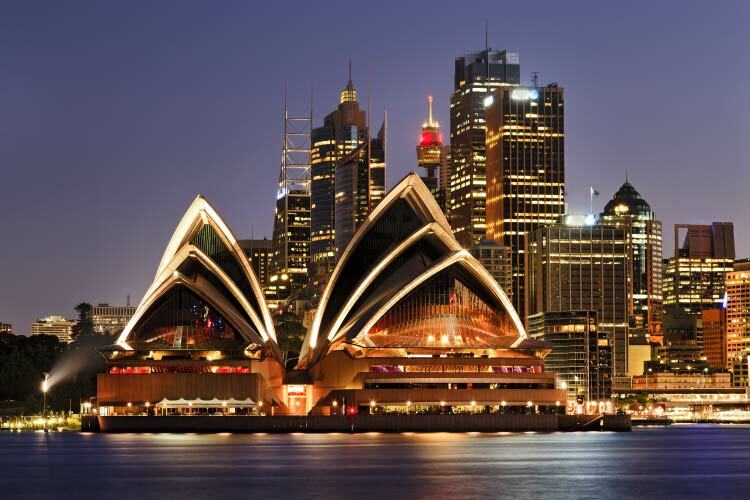 Sydney is the most populous city in Australia (and indeed all of Oceania), which probably explains why nearly half of all travelers in Australia make a stop in the city. This translates to almost $40 million dollars worth of tourism related activities per day. The distinctive arches of the Sydney Opera House symbolize the tourism industry in Australia, and in fact the building is recognized in same way the Statue of Liberty and the Eiffel Tower epitomizes their home countries. Travelers also spend time on the city’s beaches, most notably Bondi Beach and Manly Beach, as well as in the city’s excellent zoo and aquarium. We also recommend visiting the Chinese Garden of Friendship; built to symbolize the relationship between Sydney and Guangzhuo. The Chinese Garden of Friendship is beautiful, extensively manicured, and contains a charmingly traditional teahouse. Though the actual city of Cairns has lots to offer travelers, many simply use it as a base of operations when exploring the Great Barrier Reef. 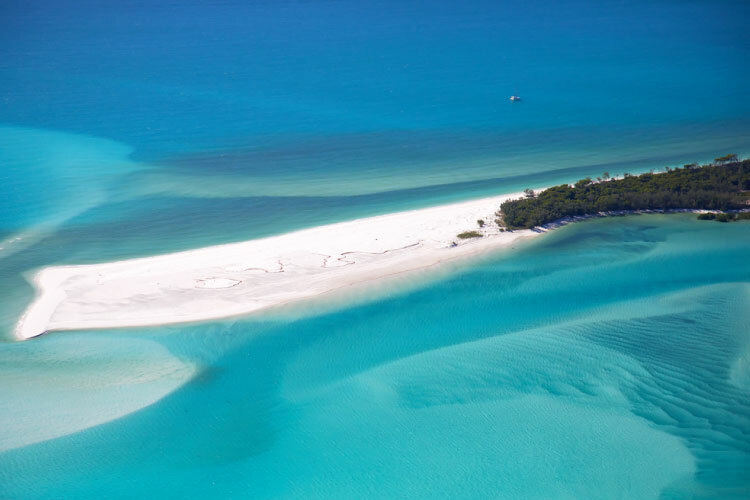 As the world’s largest coral reef system, the Great Barrier Reef is widely recognized as one of the best scuba diving and snorkeling sites in the world. 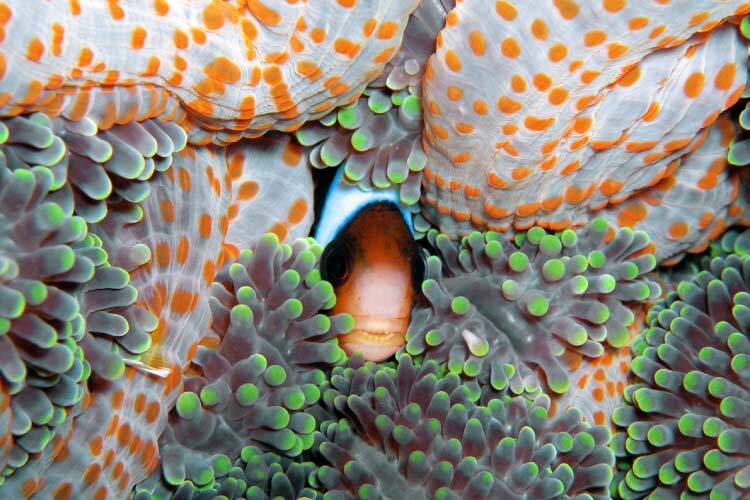 For this reason, nearly $3 billion worth of reef related tourist activities occur each year. Unfortunately, the huge number of visitors, industrial pollution, and effects of climate change wreak havoc on the reef; scientists estimate more than half of the coral cover disappeared between 1985 and 2012. Sadly, the trend shows no signs of slowing, and many biologists recognize the depletion and whitewashing of the Great Barrier Reef as one of the most dire ecological problems we face today. Visitors interested in Australia’s outback ought to visit the remote mining community of Broken Hill. Despite a population of less than 20,000, the community has a thriving arts scene. However, travelers will most likely wish to visit the nearby ghost town, as well as the Living Desert Reserve. This natural area contains 12 massive sandstone sculptures, in addition to a huge section filled to the brim with wildlife. There are also primitive cave paintings in several locations near Broken Hill, which give fascinating insight into the lives of the Aboriginal peoples. 1. Wander through the green streets of Perth and stop in some of its numerous parks. Then, head over to SciTech, a fascinating interactive science museum. Just south of the museum sits popular tourist attractions like Kings Park, the Bell Tower, the Perth Zoo, and several government buildings. 2. 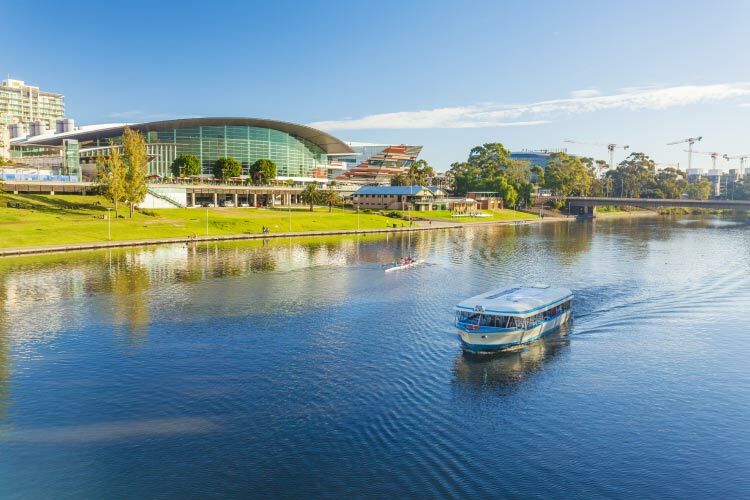 Though Adelaide’s zoo and botanical gardens are definitely worth a visit, travelers ought to check out the city’s lovely art gallery. After grabbing a bite to eat at one of the many lovely coastal cafes, explore Victoria Square and the many historical sites surrounding the city centre. 3. Soak up some rays in Melbourne’s Altona Coastal Park, then head to the city centre. Walk just a few blocks, and you’ll come across alleys packed to the brim with street artists and performers. Then, catch a movie at the famous Astor Theatre, which is just as much a historical icon as it is a cultural gem. 4. Specifically built to be Australia’s capital city, Canberra’s general layout is more logical than almost any other city in the world. An interesting afternoon in Canberra might be spent exploring its maze of streets and examining the numerous governmental buildings. Canberra is also famous for its lovely cycling paths, many of which border Lake Burley Griffin. 5. After seeing your fill of Sydney’s famous skyline, take to the sea and experience surfing in Australia. Relax in one of the city’s many parks, or see one of the many local talented bands perform a set. If you’re up for it, few things are more satisfying than watching the sunrise over the ocean, preferably with a cup of coffee from a local cafe. 6. While Brisbane itself is famous for its music scene and general vibrancy, travelers should also wander through the gorgeous countryside surrounding the city. Try rock climbing at Kangaroo Point or even scale the iconic Story Bridge. Be sure to rent a bike to explore the city; not only is it great exercise, but as of 2015 all bike rentals come with a coupon-book offering discounts at local restaurants, shops, and tourist attractions. 7. Spend time in the Cairns Wildlife Dome, an enclosed dome on top of the Reef Hotel Casino with a walk-through tropical birds exhibit and numerous mammal enclosures. Don’t be afraid to place a bet or two downstairs. 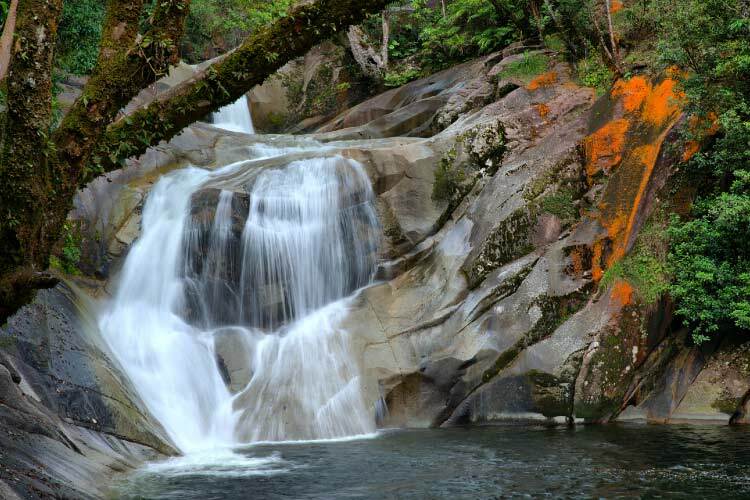 For a great view of Cairns, take a hot air balloon trip above the city and before you leave, be sure to visit Josephine Falls in the Wooroonooran National Park, a short trip south from Cairns.